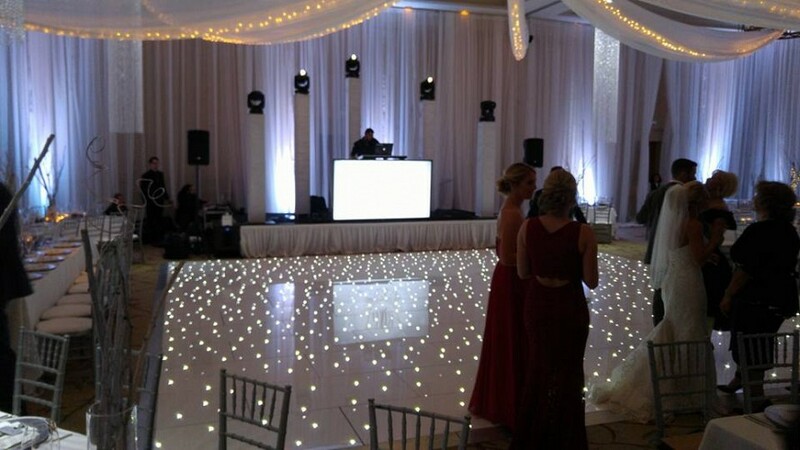 They say first impressions are the most important. 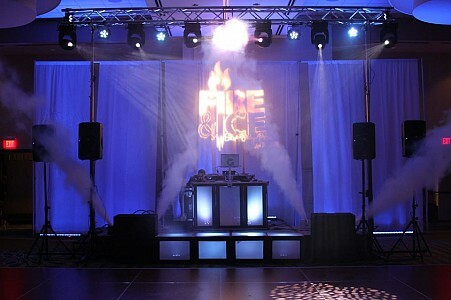 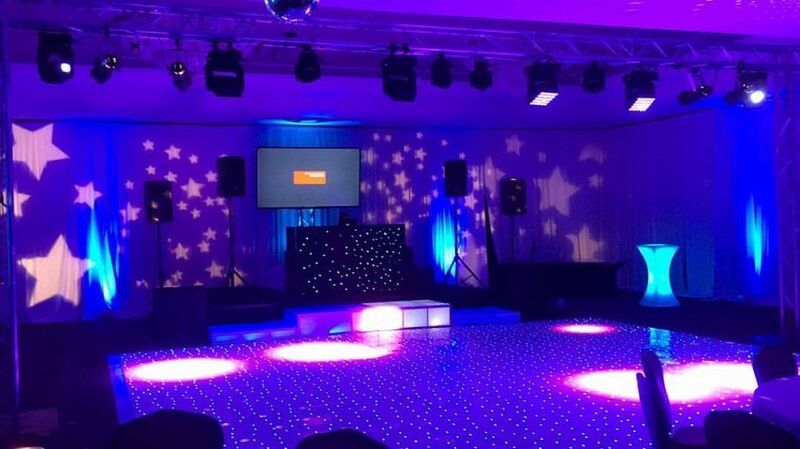 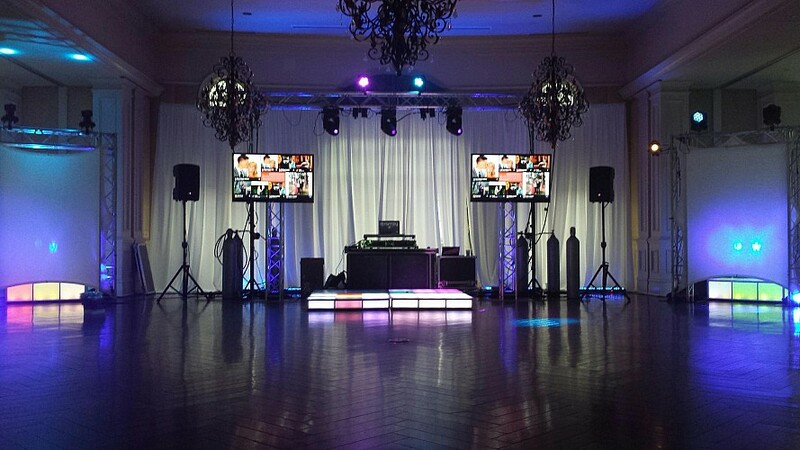 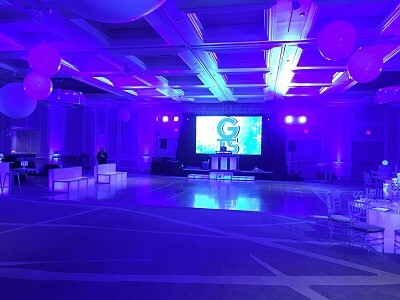 The first thing most guests see when they enter your event’s main room will be the DJ and/or stage set, so don’t let it disappoint. 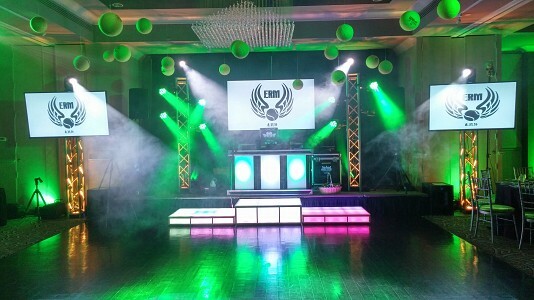 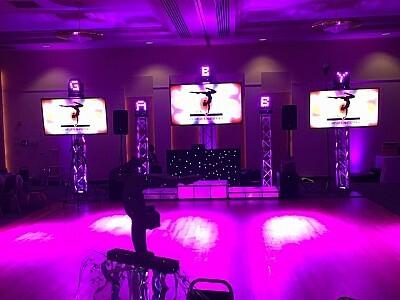 We offer several DJ Booth and stage set capabilities to set the tone for the entire event, or can create something custom for you. As a backdrop or a DJ booth, our swiveling LED array is stunning. 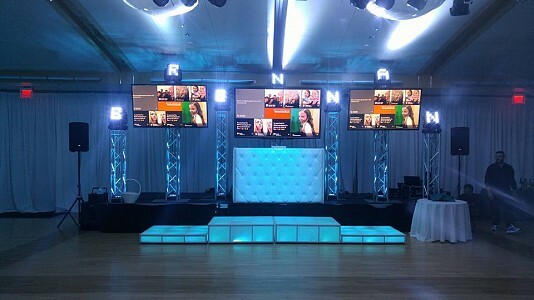 Featuring 16 LED bars capable of pixel mapping and 180 degree movement, the brightness, image and text capabilities, and stunning patterns will highlight one of the most important areas of your event. 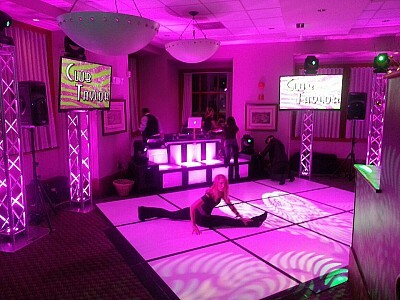 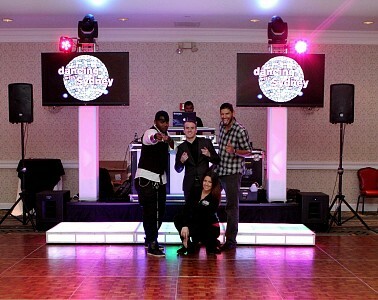 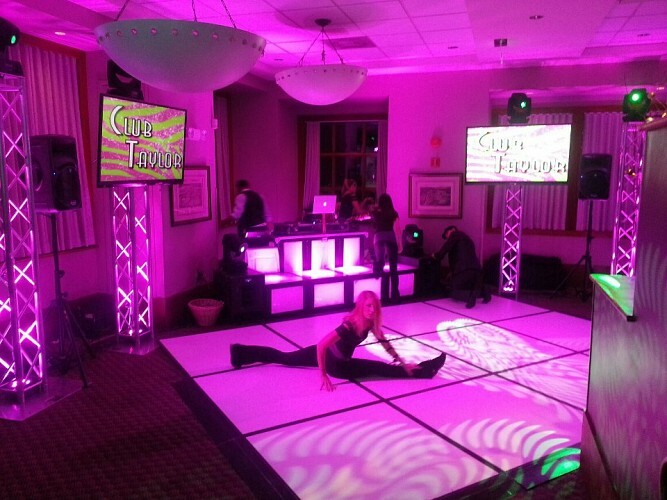 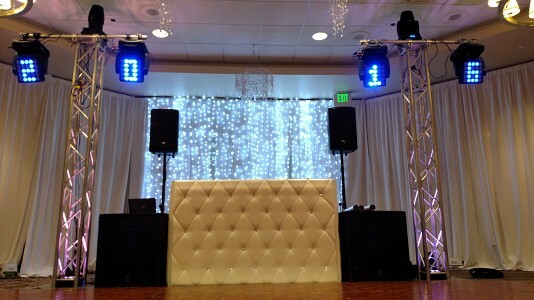 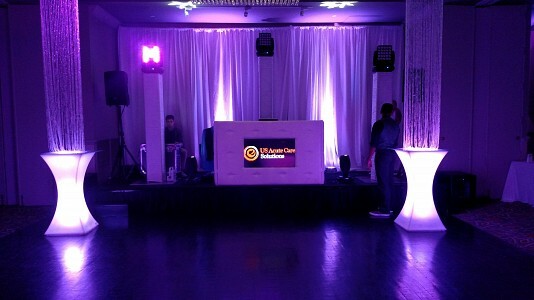 Our black and white spandex DJ booths are backlit with LED fixtures, providing a colored glow to your DJ booth. 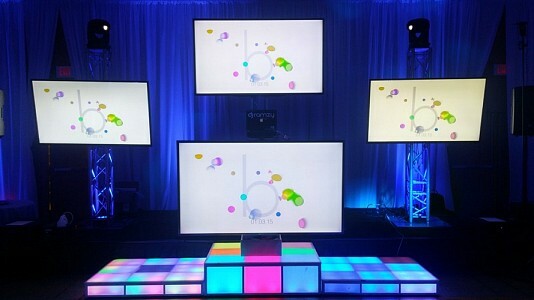 Both static colors and dynamic color changes are available. Measuring 4’ tall by 6’ wide, this DJ booth combined white plexiglass with pixel-mappable LED clusters for a visual effect rivaling Studio 54. 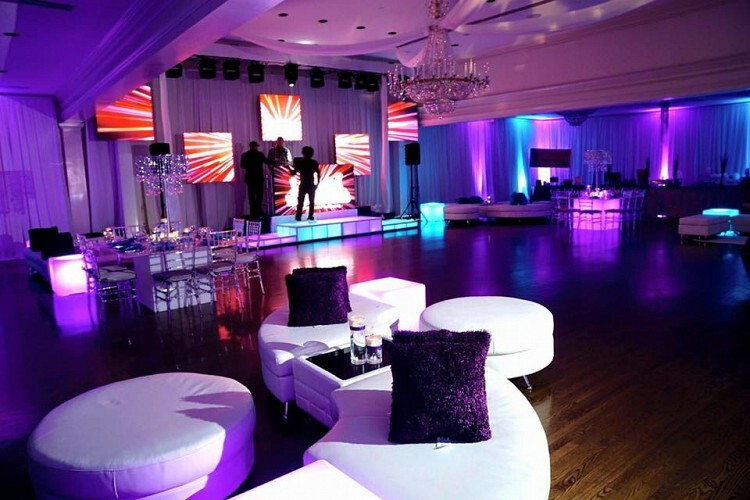 We have complete control over colors and patterns to achieve virtually any desired look. You are only limited by your creativity, or let one of our event designers take your vision and bring it to life. Combining lighting, video, backdrops, staging, and special effects, our stage sets transform the ordinary into extraordinary. 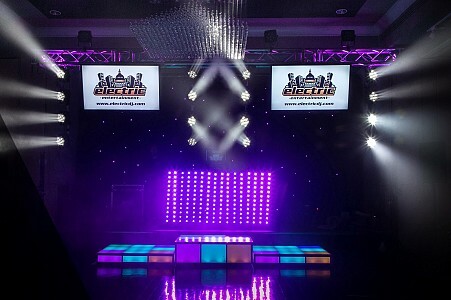 Even basic conferences or seminars can be more exciting with some stage design, and we can incorporate your company’s mission or event’s theme.